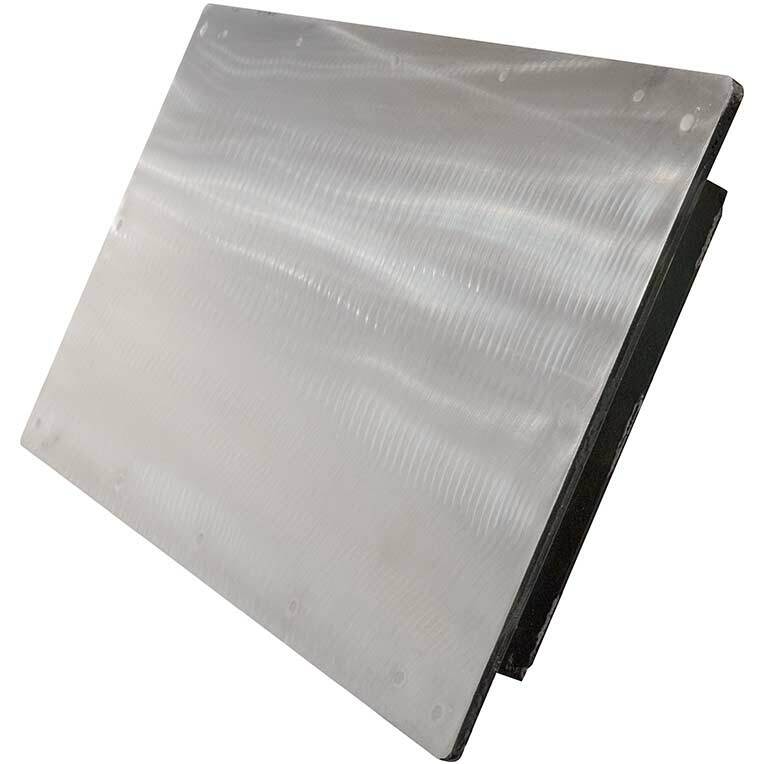 Plate Magnets are ideal for angled chute metal separation applications where product degradation is a concern. Take a look at our large number of plate magnets that range in size and design depending on your application. For assistance in selecting the most effective magnet for your application, contact us. All IMI plate magnets feature performance engineering, rugged welded stainless and steel construction, and use the finest magnet material available. Flush Face Plate Magnets deliver optimum tramp metal separation performance when used in above-the-flow chute or belt applications. When installed over the material flow, these magnets deliver continuous magnetic protection for down stream processing equipment. Exposed Pole Plate Magnets are engineered to deliver high performance tramp metal separation in low to medium volume applications. These applications are for below-the-flow installations where the product flows over the magnet face. 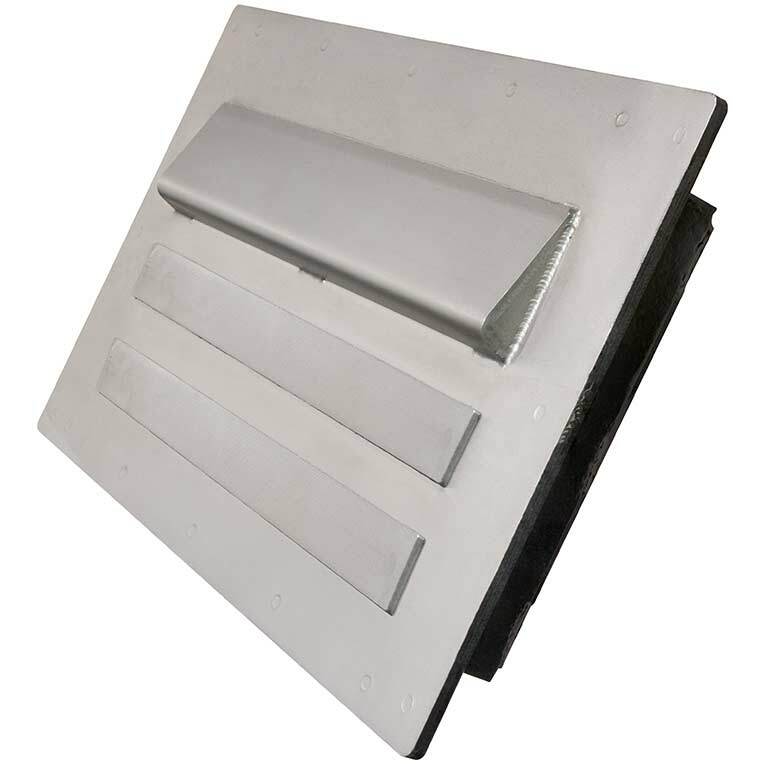 Spout Face Plate Magnets feature a diverter to provide maximum tramp metal separation and superior wash-off protection for high volume, below-the-flow applications. 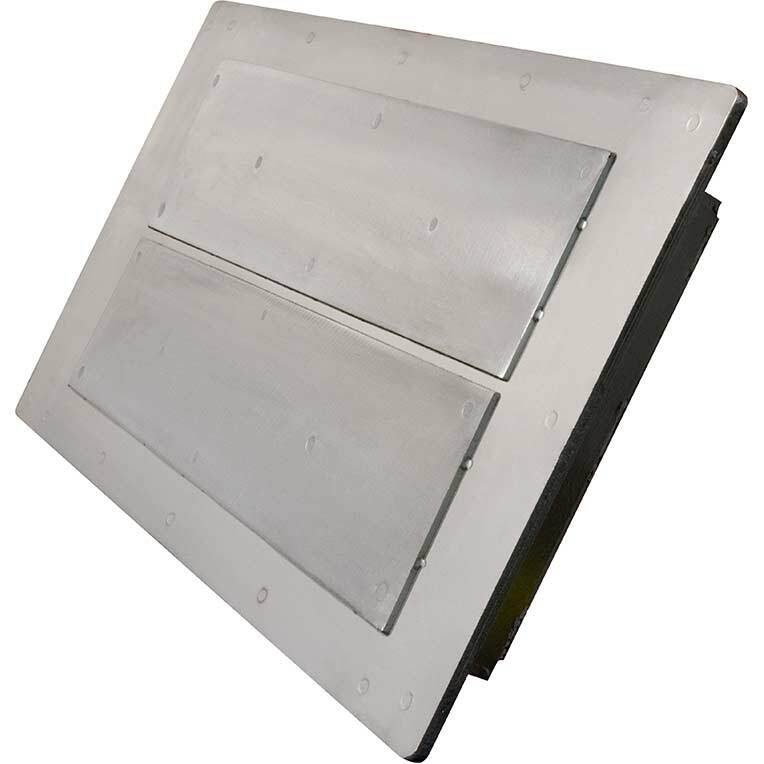 The diverter protects collected metal from being washed back into the product flow, while preventing product degradation. Several strengths are available in Ceramic and Rare Earth designs to meet the requirements of difficult applications. Both EZ-Clean and Self-Cleaning Magnets utilize a stripper pan cleaning mechanism that allows the collected tramp metal to be easily released. The EZ-Clean Spout magnet is operated by unclamping the magnet from the chute and pulling the magnet opened by hand. As the magnet is pulled open the stripper pan separates from the magnet, allowing the metal to fall off of the pan's face. The Self-Cleaning Spout Magnet utilizes air cylinders to swing the magnet and the stripper pan away from the chute allowing for remote cleaning of the spout magnet. Our Sanitary Grade Exposed Pole and Spout Face Plate Magnets are certified by HAACP International and fully conform to HACCP International's Food Safety Standard (0909MAGSEP 1-2010) for direct contact with food product. Our Sanitary Grade Plate Magnets are USDA AMS accepted Dairy, Meat and Poultry magnetic separator processing equipment.